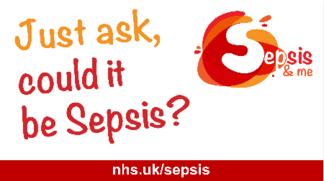 Public Health Coventry, University Hospitals Coventry and Warwickshire NHS Trust (UHCW) and The Sepsis Trust have teamed up to create a month of awareness-raising about Sepsis. SeeAbility in Partnership with Grapevine and NHS England are holding a free event for adults with learning disabilities and their carers who want to learn more about looking after their eyes and how or where to get their eyes tested. The event will be held on Wednesday 27 March at the Welcome Centre from 10am - 3pm. Tickets can be booked at SeeAbility. For more information about the day contact Stephen Kill s.kill@seeability.org. The next Carers' Coffee Morning for carers of adults with learning disabilities will return to Central Library in May with guest speakers attending from the Acute Liaison team based at UHCW. This will be an opportunity for carers to discuss the support available for adults with learning disabilities when they go into hospital and the support they may receive when accessing the GP or other health interventions. The next session will be held on Wednesday 16 May 2018 at 10.30 - Central Library. If you look after someone, and are aged 18 and over, the carers' on-line self-assessment is your chance to tell us about your caring role, your needs as a carer and the things you think will help. The carers' online self-assessment is now live. Carers can now log in through the website and complete their assessment online, you can save it as you go along and go back to it when you have the time. When the assessment is complete an advisor will contact you from the Carers Trust Heart of England, they will talk through your assessment, give advice and information. The online self-assessment is just another way in which you can have your needs assessed as a carer. If you feel you would benefit from talking through the assessment with someone please contact Adult Social Care Direct on 024 7683 3003.